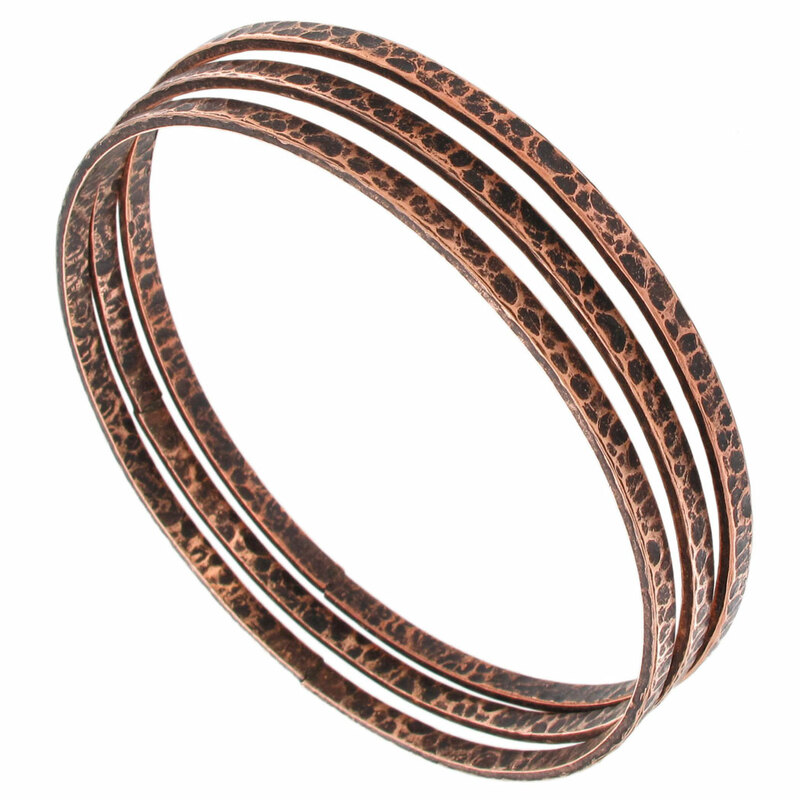 This set of three bangles has a hammered look and a copper ox tone finish. Standard women's size bracelets. Made in the USA.